This resort offers spacious apartments and villas with a balcony. It is situated just 2 km from Slide & Splash Water Park. It offers massage treatments and an outdoor pool with sun loungers. 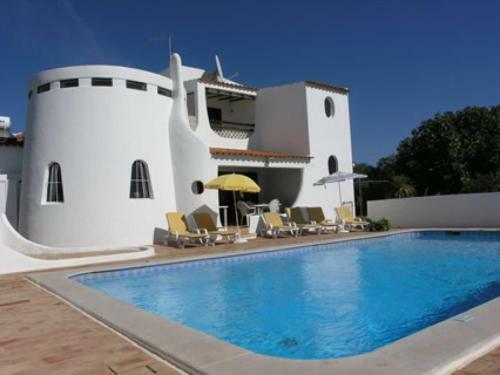 Villa A Fazenda is located in the Algarve region of Carvoeiro, a 5-minute drive from the beach. The ample villa features a large outdoor swimming pool, table tennis, billiards and a garden. Villa in Carvoeiro Algarve VI is a villa with a terrace, situated in Carvoeiro, 1.6 km from Benagil Beach. Guests benefit from patio. There is a dining area and a kitchen equipped with oven. A TV and DVD player are featured. Featuring a garden with an outdoor pool, Quinta A Palmeira Grande is a detached villa situated in Carvoeiro in the Algarve Region. The property is 1.9 km from Carvoeiro Beach and free private parking is offered. Free WiFi is provided . 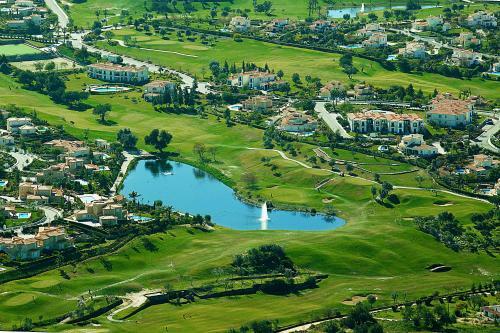 This Moorish-style resort is set on 300,000 m² grounds and offers a pool and several restaurants. It is a 14-minute walk from Carvoeiro’s centre.